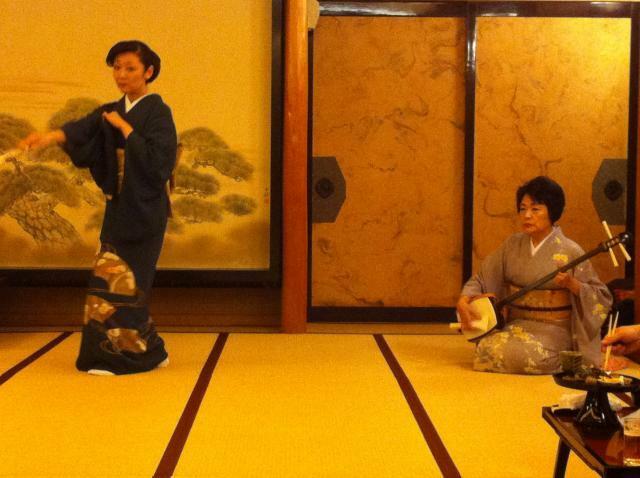 Enjoy a 30-min Geisha Show by the Togura-Kamiyamada Onsen Geisha Guild. The geisha will perform a couple songs, teach the group the moves to a dance and have everyone join in to dance around the room, then challenge the guests to some geisha parlor games. At the end, guests can pose for pictures with the geisha. Togura-Kamiyamada has historically been the onsen resort town that people stay at after a pilgrimage to the Zenkoji Temple in Nagano City. Guests come to soak in the onsen baths and throw a big banquet, call in some geisha and have an exciting night before returning to their normal lives. Today, Togura-Kamiyamada is one of the rare onsen towns where you can have the geisha come to liven things up your banquet. 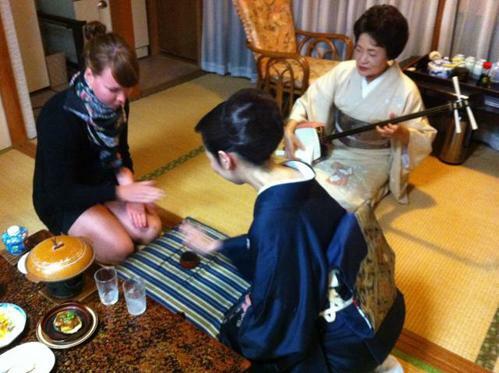 Normally the geisha come for a minimum of 2 hours with most of the time spent chitchatting and pouring drinks for the guests. 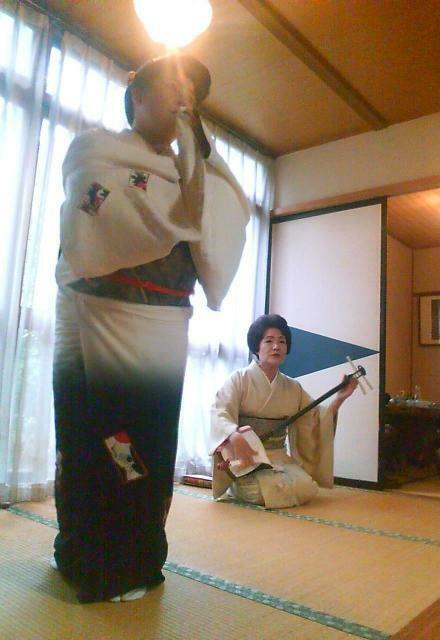 With this 30-minute Geisha Show, the geisha will perform some songs such as our area's traditional love song Kamiyamada Ko-uta, teach the group how to dance to the 'Tanko-bushi' (Coal-Miner) or similar song and have the guests join in dancing around the room. Then the geisha will challenge everyone to Konpira Funafuna or other geisha parlor games, followed by time for pictures with the geisha. Can vary, but usually 18:00-18:30. Japanese language ability isn't necessary to appreciate watching the geisha dances, and the geisha are accustomed to using body language to teach the dancing and games. Make reservations via your place of accommodation in Togura-Kamiyamada. Standard 2-hour geisha entertainment also available. From Togura Station(Shinano Railway), 2.2km walk (approx. 30 min Rt. 336, left on to Rt. 18, right on to Rt. 55, cross bridge and left on to Rt. 77) or bus #8. From Sakaki IC, follow Route 91 down, turn right on to Route 18, turn left onto Route 498 and cross the river to the Kamiyamada Culture Hall signal. Tourism Hall on the NW corner. Tsukemono (Japanese Pickles) Cooking Lesson : Learn Recipes Using Japanese Pickles at a Boutique Tsukemono Store.